I don't mind seeing Jeremy Renner take on the blockbuster and franchise roles that he's kept busy with since breaking out six years ago, but after his underwhelming showing in last years much-hyped American Hustle it is good to see the actor getting back to basics and playing someone like Gary Webb in a tough, gritty procedural like Kill the Messenger. The film is based on the true story of Webb, a journalist who stumbles on leads that take him to the beginning of the crack epidemic in America and the theories of conspiracy that go along with it. The trailer plays to the beats of films we've seen before about noble acts, where the main character sacrifices what is important to him for the greater importance of those he can inform but it looks to be executed with keen precision and high-caliber acting here. Adapted from Webb's book by Peter Landesman (Parkland) and directed by Michael Cuesta (Six Feet Under, Dexter, Homeland) this serves the kind of unnerving performance Renner can deliver a la The Hurt Locker and The Town. There is much to like on display here, but more than anything I'm looking forward to how Cuesta captures the specific tone of this genre and if the globe-trotting investigation aspects feel like something fresh. I'm intrigued if not by the inherently engaging story and truths it uncovered, but for the caliber of the cast they have recruited here to support Renner in what he no doubt hopes to be a definitive role that cements his leading man status. 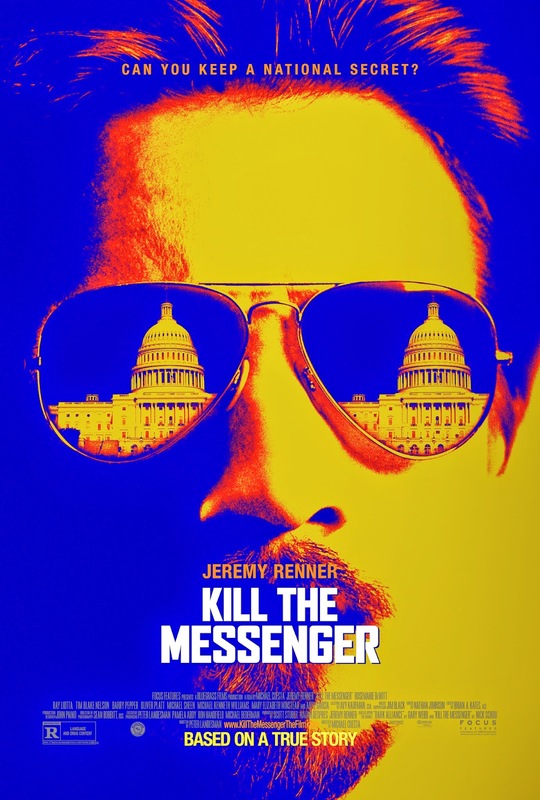 Kill the Messenger also stars Rosemarie DeWitt, Ray Liotta, Barry Pepper, Michael Sheen, Mary Elizabeth Winstead, Oliver Platt, Andy Garcia, Tim Blake Nelson, Robert Patrick, Michael Kenneth Williams, Paz Vega and opens October 10th. Synopsis: Two-time Academy Award nominee Jeremy Renner (“The Bourne Legacy”) leads an all-star cast in a dramatic thriller based on the remarkable true story of Pulitzer Prize-winning journalist Gary Webb. Webb stumbles onto a story which leads to the shady origins of the men who started the crack epidemic on the nation’s streets…and further alleges that the CIA was aware of major dealers who were smuggling cocaine into the U.S., and using the profits to arm rebels fighting in Nicaragua. Despite warnings from drug kingpins and CIA operatives to stop his investigation, Webb keeps digging to uncover a conspiracy with explosive implications. His journey takes him from the prisons of California to the villages of Nicaragua to the highest corridors of power in Washington, D.C. – and draws the kind of attention that threatens not just his career, but his family and his life.